If you're considering purchasing a house or you are thinking of doing a bit of do it yourself projects then you need to know that the roof is a very big project for plenty of folks. It's an important thing to consider because if you're selling or buying a house because nobody wants to move into a residence that has a roof that is not likely to be able to make it through the next winter. Nonetheless, changing a roof or making slight modifications and fixing sections of your roof, is one thing that can really get in the way with your day to day life. This is especially true if you do it in the winter months or during a rainy season. Because of this, you may wish to recruit the help of a Columbus professional roofing contractor. There are several major things that roofing contractors do. For starters you can rely upon a professional roofing contractor to install a new roof to suit your needs. Columbus roofing contractors are the experts that you can count upon whenever you need to put a new roof on your home. Next, roofing contractors may likewise help you fix virtually any difficulties that have to do with your home's roof. As a result, they are able to make things far better and less dangerous for you. 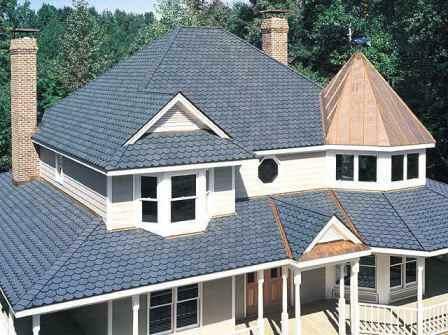 Third, and lastly, roofing companies can install additional upgrades and add-ons to keep other damage from developing. If you are looking for professional Columbus, OH roofing services, please call us today at 614-263-8899 or complete our online request form.